The announcement of a National Heavy Vehicle Charging Pilot by the Australian Minister of Urban Infrastructure and Cities in December 2017 was designed to break what has been some years of inertia in progressing heavy vehicle road user charging in Australia. As I have written before, there is no shortage of reports or studies about the merits and possible approaches to transitioning from fuel tax and registration fees to direct road user charging for heavy vehicles in Australia, but there have been a series of key issues that have hindered progress, which in part reflect the constitutional and governance arrangements for roads and charging of road use in Australia. The previous project, (which lasted seven years) called the Heavy Vehicle Charging and Investment project, floundered for a host of reasons. It was too focused on charging, and not the funding or supply of roads. Although many reports were prepared on a host of elements of charging policy, insufficient attention was paid to issues around transition. How to get from the current charging system to feasible and user acceptable steps to direct user charges wasn't adequately addressed. As such, the proposals focused on the costs of implementing heavy vehicle charging, in the context of a single or limited competition for supplying such systems, which raised questions as to the costs and economic viability of charging. It did not sufficiently engage with Treasuries at Commonwealth and state/territory levels, furthermore its complexity was such that it was difficult to get political traction and with that stakeholder support for the project. It wasn't helped by a complex project governance structure that saw it lose momentum. Given it is clearly possible to reform the supply side of roads, without reforming charging, and that reforming the supply side can help address key issues that arise in charging (especially how to set charge rates and convincing road users that revenue collected is spent wisely and in their interests), it made sense to adopt the Heavy Vehicle Road Reform approach. What makes road charging complicated in Australia? 1. Registration fees are charged at the state/territory level (and motor vehicle registers are state managed, except for one for interstate heavy vehicles), but fuel tax is charged at the federal level as it is an excise duty. This adds a complication in terms of co-ordination, but also institutional responsibility for refunds. A state/territory level road user charge could not refund fuel duty, without a specific arrangement with the Commonwealth. If a state/territory applied road user charging on its own roads, without fuel duty refunds, then it is only likely that its own heavy vehicles would pay road user charges, as out of state heavy vehicles would still be paying registration and fuel duty (so could not be expected to pay a state level road user charge on top). 2. All road managers are at the state/territory or local level of government, but a significant proportion (23%) of spending on roads come from the federal (Commonwealth) level of government. However, two thirds of revenue raised from heavy vehicles come from fuel tax (levied at the federal level). The Commonwealth government doesn't manage any roads, but it does manage the primary means of charging for road use. 3. With a couple of exceptions, none of the revenue collected from heavy vehicles is hypothecated into funds for road capital or maintenance spending purposes. All funding is allocated through politically led processes at Commonwealth, state/territory and ultimately local levels, on an annual basis. 4. Heavy vehicle configurations in Australia are complex, and some of the largest heavy vehicles allowed on public roads anywhere in the world. In essence, because the Commonwealth is not a road manager, is not the primary funder of roads and doesn't register or maintain registers of motor vehicles (with one exception), there was always some sense in encouraging states and territories to take the initiative on road user charging. It seemed appropriate for the Commonwealth to have oversight and guidance, to ensure interoperability between road charging systems and to address interstate/cross border issues of charging, as well as being the regulator for price setting to deter the setting of "monopoly" charge levels and discriminatory behaviour with charging. Ultimately, the ideal of land transport market reform that turns the provision of roads for heavy vehicles into an economic service, would see the providers of that service (road managers) leading the setting of road charging rates, and managing the provision of road charging services for their customers (albeit that such services may be operated at the state/territory level rather than the local). However, it has appeared that there are two main risks with leaving it all to states and territories. Firstly, states and territories that seek "first mover advantage" could risk adopting practices in rate setting, governance and scheme design that are sub-optimal for other states and territories. They might suit the policy objectives at the state/territory level, but not at the wider Commonwealth level. One example could be adopting a rate setting approach that lowers costs for heavy vehicles on the roads in that state, which may be appropriate for recovering the costs of those roads, but which implies that lower costs would apply on similar roads in other states. Secondly, there is a risk that states and territories adopt approaches that do not work, and so undermine the chances of success elsewhere. At worst, if a state or territory introducing heavy vehicle charging in a way that proves unpopular with road users, it could create opposition elsewhere in Australia, putting at risk wider deployment of heavy vehicle charging, potentially for some years. Finally, states and territories may simply do nothing without leadership from the Commonwealth. Without access to money from fuel duty, it may simply be seen as too difficult for states and territories to progress road user charging. Although they can refund registration fees for vehicles in their state, they can't refund fuel duty. This adds a complication for out of state heavy vehicles, which would all be paying under the current system, but either would have to be exempt from a state level road user charge, or effectively pay twice. For heavy vehicles paying the road user charge in their own state or territory, when they enter another state or territory they would not pay the road user charge. Development of design, and planning on the implementation and evaluation of on-road heavy vehicle trials for future stages of the National Pilot. Market research and surveys to obtain baseline information on the views of industry, supply chains, road managers and the wider community on direct user charging for heavy vehicles. The first workstream will focus on the preparation for Stages 2-4 of the National Pilot, including project planning, design of concepts of operation and development of an appropriate evaluation framework for all three stages. The second workstream is effectively the first pilot, as it will seek to model the impacts of charging scenarios on different groups of heavy vehicle users. 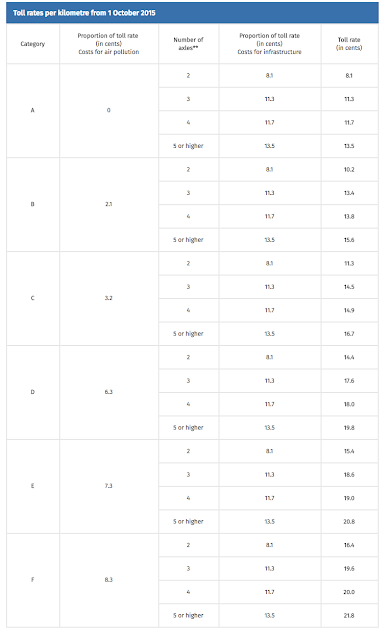 Datasets on different types of heavy vehicle users (by geography, type of haulage, fleet size, vehicle size, routes and trip patterns, freight and passenger services) will be used to model how much such users would pay under four different road user charging rate scenarios. All these scenarios presume revenue neutrality (although it is unclear if that means neutrality after taking into account the costs of collecting revenue). 1. A flat national mass-distance charge, applicable to all routes. This could be seen as akin to both the Oregon and New Zealand heavy vehicle charging schemes (albeit with mass as a static measure of average loading. 2. Mass-distance charge that varies by state/territory: Similar to Scenario 1, but with charges that vary by state/territory, presumably to reflect average spending (or forward looking costs) attributable to heavy vehicles by each state/territory.&nbsp; Interstate trips would change in price at the state/territory borders. This would appear to be a relatively simple variation on Scenario 1, although it would expose cross-subsidies between states and territories. 4. 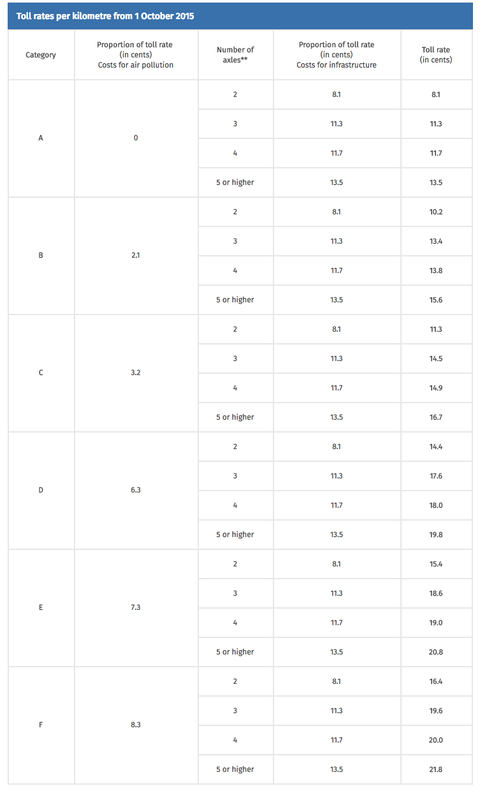 Mass-distance charge that varies by road type, based on level of service: As in 3, with national charges by road type, but varying on a defined "level of service". This could range from multi-lane grade separated roads, to unsealed tracks. This is contrary to Scenario 3, as it implies paying more for a higher level of service, but this typically means lower marginal costs. The third workstream appears to be strategic engagement with road users, road managers and other interested stakeholders about their views on road charging, and will presumably be the foundation for further engagement with such stakeholders through Stages 2 to 4. The final report of Stage 1 will be submitted to the Transport and Infrastructure Council (TIC) (Transport Ministers under the Council of Australian Governments, covering both the Commonwealth and State/Territory Ministers) in November 2018. The expectation and hope is that the TIC will approve moving to Stage 2, an on-road pilot of heavy vehicles "paying" a simulated road user charge. Australia's (Federal) Minister for Urban Infrastructure and Cities announced in his speech to the Roads Australia Annual Luncheon on 15 December 2017 that Australia will be launching a National Heavy Vehicle Charging Pilot. The main part of the pilot is a program to investigate and design an on-road pilot for heavy vehicles across Australia, to trial replacing the existing registration/fuel tax based system of charging heavy vehicles for road use. It has distinct stages starting with a desktop modelling simulation through to a phased transition away from the current charging system. More on that in a later post. An Information Sheet about the principles and objectives for Heavy Vehicle Charging Trials (PDF) explains more. In parallel, the Minister also announced funding for a business case program for location based trials (the so-called "Business Case Program"). Under this program, state and territory governments will be eligible to apply for Commonwealth Government funding support to develop business cases to undertake their own trials of heavy vehicle charging, to generate additional revenue for infrastructure improvements that specifically benefit heavy vehicle users. - Funding support would be to support business case development not the trials themselves (it is presumably thought that the trials, being revenue generators, should be able to self-fund, although I am not sure that this support would necessarily be seen as sufficient incentive for interest from states and territories). The benefit might be using high productivity vehicles on routes where they cannot presently be used. Or the benefit might be a targeted program of investments to upgrade roads in a particular area which is of benefit to heavy vehicle operators—for example, livestock or grain transporters in a particular rural area. Whatever the benefit—be it improved access, faster travel times or more flexible operating arrangements—it would clearly need to outweigh the costs of the additional charge so that heavy vehicle operators would find it worth their while to participate. These trials could allow us to test such matters as particular technologies to record distance and location travelled; or the willingness to pay of operators; or the development of service level standards. Again, we will be keen to work with the heavy vehicle industry—as well as state and territory governments—to see if we can work up such trials in different locations around the country. Through funding the development of business cases for trials we hope to catalyse a number of such trials over the next few years. It should be possible for states and territories to identify gaps in their freight corridors that could be supported, over a forward-looking lifecycle cost basis, by infrastructure improvements paid for by the vehicles that benefit from them. Additionally, actual on-road trials could complement the proposed National pilot, by having trucks actually paying for road use, on a distance, location (and presumably some vehicle configuration and mass basis). It also encourages road managers to take a more commercial, user-oriented approach to infrastructure development for heavy vehicles. Which states and territories might be interested? Although much attention is often given to toll roads in Australia, almost all road distance in Australia does not involve toll roads. As an economy dominated by extraction industries primarily around mining, but with agriculture also important, heavy vehicle use of a large and in many cases, sparsely used road network, is critical to the country's economic progress. Australia is, after all, a continent, the sixth largest country by area (Russia, Canada, China, USA and Brazil are only bigger), but for its size it is the third least densely populated country (only Namibia and Mongolia have fewer people per square km). That sparse population explains little when you note that over two thirds of the population live in the eight state and territory capitals, and another 22% live in the remaining urban areas, most of which are located along the coast in the eastern states. Australia also has some of the largest trucks ever seen in regular use on public roads, with vehicles up to 60 metres long allowed on some routes, and total vehicle mass configurations of well over 100 tonnes. So Australia has taken heavy vehicle use of the road network seriously, because the productivity of both heavy vehicle use and the provision of the roads they use, has a direct impact on the economy. - Fuel excise duty known as the Road User Charge (which is fuel excise duty minus a refund to reduce it the "Road User Charge" rate), collected by the Commonwealth. Currently at A$0.258 per litre (US$0.74/US gallon) of diesel. 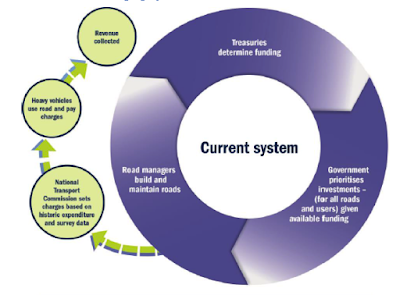 A Cost Allocation Model is used, based on historic spending on roads, to inform the setting of both registration fees (which escalate based on the mass/configuration of the vehicles) and the amount of the refund on fuel duty to set the road user charge rate. For some years it has been acknowledged that this system is far from optimal. Multiple reports have proposed a shift away from registration and fuel taxes towards direct user charging. There is a relatively poor relationship between what is paid and the costs that heavy vehicles impose on the roads that they use. Most of the revenue collected through this system is treated as general revenue at the Commonwealth, state/territory levels, so is not dedicated for spending on roads. Numerous studies have noted the scope for reform, and a major reform programme was embarked upon, called the Heavy Vehicle Charging and Investment (HVCI) project, that sought to introduce heavy vehicle road charging. It was abandoned for several reasons, not least the complexity of the proposed programme, and the sequence of reforms, which effectively sought to reform charging before reforming the funding and governance structures for roads. It also struggled to gain sufficient heavy vehicle user support. The current Commonwealth Government, under Minister for Urban Infrastructure and Cities, Paul Fletcher, has embarked on a new reform programme that is more holistic and integrated than HVCI. It is notable in that it seeks to reform funding and management of roads, and how existing charges are set and used first, before replacing the current charging system with direct user charges. Heavy Vehicle Road Reform seeks to not only reform how heavy vehicles pay for road use, but also to reform the funding and management of roads. The current system is very much a political command and control model, and is depicted in the image below. Funding for roads is traded off with public spending for other activities, and decisions on priorities for road spending although informed by benefit/cost appraisal, is fundamentally a political call. Road managers primarily operate as engineering bodies, building and maintaining roads, with limited relationship with road users. 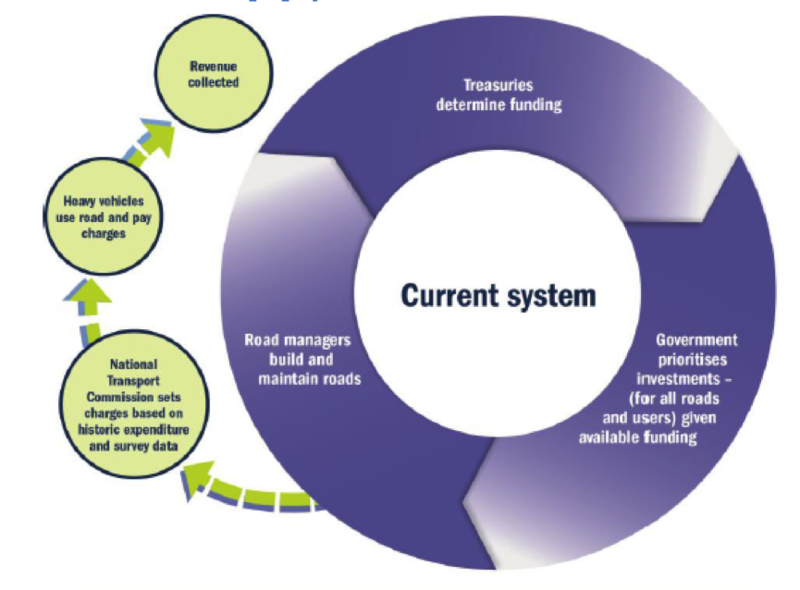 The money that is spent on the roads is used to inform the charges that heavy vehicles pay, as the National Transport Commission uses data on previous spending (and forecasts of heavy vehicle demand) to inform rate setting of registration and the fuel excise "road user charge". The image below from the Department of Infrastructure, Regional Development and Cities is a fair summary of the current situation. It shows a very limited relationship between road managers and road users, and in the use of revenue collected from road charges and money spent on roads. Some might say it took long enough, but for New York Governor Andrew Cuomo it might just be in the nick of time as he is reported in the New York Times as saying that "Congestion pricing is an idea whose time has come". Well I'd say its time had come years ago, after all the technology to do it has been proven since the 1990s, and the actual results of implementing it have been seen in Singapore, London, Stockholm and Gothenburg (although London's success has not been sustained for multiple reasons and Gothenburg's scheme is too big and was focused on revenue collection). Few need to be reminded of the severity of New York's congestion, and also the enormous funding problem for the city's road and public transport networks. Although much could be written on how it could improve its planning, contracting and management of its road network, in terms of maintenance (i.e. apply world class asset manegement systems, introduce predictive maintenance and fund it on an asset lifecycle), let alone its public transport system, and why it appears to cost more than anywhere else. It remains that there is a huge backlog in renewals for both the roads and the subway network. I've written before about the two past attempts to introduce either congestion charging or toll reforms that would have had some of the same effects. New York has been here before, with the first attempt to introduce congestion charging seen by Mayor Bloomberg. It failed because the state legislature was uninterested in granting him the powers to charge on state highways. 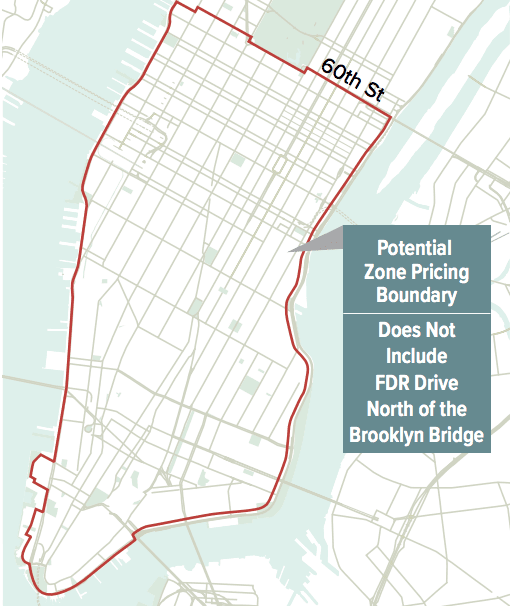 In 2012, a different proposal was floated by former senior NYC DOT official Sam Schwartz, essentially introducing tolls on untolled East River crossings, but reducing tolls on outer New York tolled routes, which would generate new revenue and be more equitable. However, the whole idea of charging fell dead in 2013, with Mayoral candidates uninterested. In 2014, the Sam Schwartz plan became known as the Move NY proposal, as a group of interested organisations backed it. However, it didn't seem to get traction, as Mayor Bill de Blasio was lukewarm and at the time, state politicians were similarly so. In January 2018, another plan was released from the Fix NYC Advisory Panel, set up by the Governor. Full report here (PDF). See the bottom of this post for some thoughts on some of the "information" contained within it. It recommends a series of measures in three phases. On 1 January 2005, Germany introduced the world's first full GNSS based road user charging system, applying only to trucks with a Gross Vehicle Weight (GVW) of 12 tonnes and above. Unlike the Swiss system (LSVA), which used GNSS technology to supplement the tachograph (primarily for verification and compliance purposes) as a means of measuring distance, the LKW-Maut (as the German system is called) uses an On Board Unit (OBU) with GNSS technology to map match to measure distance for chargeable purposes. A consortium known as Toll Collect won the PPP contract to finance, design, build and operate the system. There are further discussions about expanding the scope of the system to include buses and coaches, and all vehicles with a GVW of at least 3.5 tonnes (which is the widely used definition of "heavy vehicles" in the European Union). I expect that once the system has expanded to Federal Highways, there will be a need to further expand the chargeable network to include regional and local roads. As part of the expansion to the whole Federal highway network, the process of charging trucks is to change. At present, OBUs measure distance and calculate the charge applicable for the vehicle, then transmitting the charging data to the back office to bill the operator. Charging rate table data is transmitted to each OBU as it is updated, so that all trip data is retained in the OBU. All that is transmitted is data that a truck with a specific identity travelled X number of kilometres on charged highways over a set period of dates. This is to change. All trip data is to be transmitted to the back office, with the calculation of charges undertaken centrally, rather than on each OBU. This is necessary because the very large route network will give rise to changes much more frequently in the future, especially on the federal trunk road – e.g. construction sites or traffic blockades. Therefore, route information that determines the toll calculations must be adjusted much quicker than before. In other words, with some routes likely to be closed at some times (and trucks diverted onto alternative, longer routes), it will be easier to apply exceptions to the current system by calculating charges centrally, than by applying such temporary changes through updates to over 1.1 million vehicle OBUs. In the early days of discussions about GNSS OBU technology, options were discussed as to whether OBUs would be a "thick" client or a "thin" client. A thick client would have all processing undertaken in the OBU, which would then only transmit the calculated charge data to the back office for billing purposes. There are advantages in reducing communications costs, higher protection of privacy (due to a lack of trip data being transmitted) and reducing the risk of the system not being functional due to breakdown of the centralised system (as OBUs could record trips and store charging data until the back office is ready to receive it). However, the main disadvantage is the need for updates of charging table and maps needing to be transmitted to all OBUs, which risks updates not being made in a timely manner or not being able to be made swiftly in the event of the need for changes due to roadworks or accidents. A thin client simply measures the chargeable events and transmits that data to the back office, which collects the data and uses the trip information against maps with charge rates to calculate the charges for each OBU. The advantages are that the OBU can be less complex and cheaper, with it being much easier to amend change maps and rates for charging, including discounts and exemptions by location and time of day. Unsurprisingly, the key disadvantage is the need for regular communication of charging data and that transmission of such data may be seen as tracking movements of vehicles. Alongside this change, new enforcement infrastructure is to be installed on Federal highways. 600 poles will be installed with enforcement equipment (four metres high) to classify vehicles, read number plates and check that vehicles subject to the charge have operating OBUs (or prepaid trip passes). The net revenues from the system were originally used to fund maintenance on the motorway network and also contribute towards railway and inland waterway infrastructure improvements, but this was changed in 2011 to be fully hypothecated for Federal motorways and highways. €4.63b in gross revenue was raised from the system in 2016, with an estimate €4.66b in 2017. About €1.45b is spent on managing and operating the system, and "harmonisation measures", and another €150m is diverted to the Federal Ministry of Finance to makeup for a "shortfall in vehicle tax revenue". That leaves €3.2b net revenue for expenditure on the Federal motorways and highways per annum. All net revenues are spent by a dedicated agency, VIFG (Verkehrsinfrastrukturfinanzierungsgesellschaft). VIFG - the transport infrastructure finance company - is a Federal Government owned company which was set up to implement the heavy vehicle charge and to use the funds collected, as well as manage public-private partnerships. It now has the function of managing the payment transactions for all expenditure on the construction, maintenance and operation of all Federal highways (and motorways) since 2016. 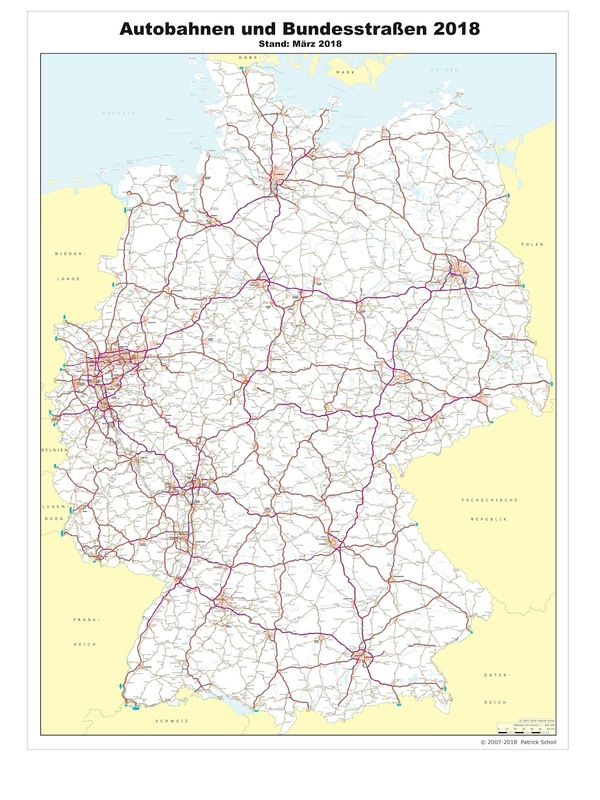 A total of €7.7b was spent on Germany Federal highways in 2017, so the LKW-Maut contributed to just over 40% of that spending. €5b in revenue is estimated to be collected in 2018, but expected to reach just under €8b by 2022, due to the expansion of the charged network and growth in freight traffic. The current tariff rates are shown here. The Federal Government is also to nationalise the encumbent operator (Toll Collect) of the country's heavy vehicle charging system (LKW-Maut) in order to resolve a 12 year old dispute as the single supplier PPP contract ends in August 2018. The Federal Government has been seeking compensation for lost revenues (worth €7 billion) due to delays in the system commencing, and has been in arbitration since 2006. Furthermore, there are concerns that as Toll Collect is the sole provider of accounts in Germany (with 1.1 million vehicles with registered accounts), that any transfer to a replacement operator could be complex if Toll Collect is not selected for the next contract. The plan is that on 1 September (the day after the contract expires), the Toll Collect LKW-Maut business will be nationalised, and will then be transferred to the new contractor in due course. • Skytoll. Operator of Slovakia’s GNSS heavy vehicle charging system. • Toll Collect (T-Systems, Daimler), the encumbent operator (as a new operator). • IBM/Continental/Abertis, a new consortium. Whatever operator is selected should expect to share the market in Germany with new European Electronic Toll Service (EETS) operators. The German Federal Government is also examining expanding the scope of the charge to include buses and coaches, and all vehicles down to 3.5 tonne GVW. In parallel, Germany is developing the PKW-Maut, a time based charge for car use of ALL public roads. It has yet to be implemented due to legal challenges (including concerns from neighbouring countries about discrimination), but when implemented will apply a prepaid charge for access to those roads. Vehicle owners will be required to purchase one year, two months or 10 days of access. Prices will be dependent on a vehicle's emissions rating, ranging from €2.50 for 10 days to €130 for one year. In parallel with its implementation, the Federal Government plans to reduce annual registration fees by approximately the same proportion. I wrote extensively about the proposal two years ago. It now appears this system is to be delayed until 2020 according to Berliner Morganpost (German) having previously been promised for 2019. The light vehicle charge (known as the "car toll") is expected to raise €481m in revenue in 2020 (almost entirely from foreign users, given German car owners are expected to receive offsetting reductions in ownership based taxes). The Hindustan Times claims that Delhi needs to replicate the success of Singapore in charging for road use. This is a fair assessment, although I would caution simply thinking that what Singapore did could be replicated in Delhi. For a start, Delhi needs to have a reliable motor vehicle registration database correlated to number plates for enforcement purposes. It isn't clear that it does. Without that, there simply cannot be a congestion pricing system at all. Secondly, there would need to be effort made to ensure that basic steps are made to ensure alternative modes are able to function appropriately. That means making it easier to walk and cycle, as well as bus priority measures which are rigorously enforced. 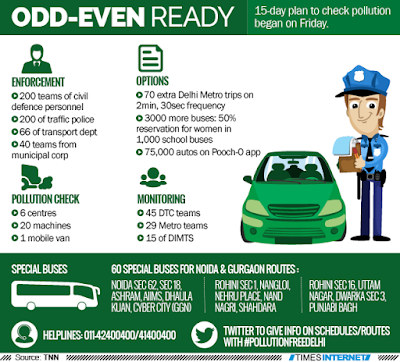 Finally, there is a need to ensure that the solution for Delhi is implemented incrementally. Don't try to replicate any other city's ideas wholesale, but look at charging a handful of locations initially at the most seriously congested periods, to see what the results are. Yet Delhi has a network of toll roads, which use manual as well as electronic tolling. The obvious first step ought to be conversion of all existing toll roads in Delhi to fully electronic free flow operation. India has already mandated the National Electronic Toll Collection programme for national highway, so this provides a good starting point. That's not to mean that the same system should be used. There are sound reasons for thinking about competitive service delivery in terms of accounts, but if Delhi wants to move quickly, its existing toll roads provide a starting point to test charging without any barriers, and to also test charging higher at congested periods. Indian Express reports speeds went up 5.4%, particulate pollution decreased by a relative 10-13% on average, with notable results either side of the period the test was in force. In other words, pollution declined after 0800, and increased again after midnight (because a new rule on truck traffic restricts much of that traffic to the midnight-0800 period). An odd-even policy isn't a very good idea though, primarily because it rewards those who can afford two cars and can encourage those with one car to buy a cheap, old, more highly polluting vehicle to avoid the restriction. 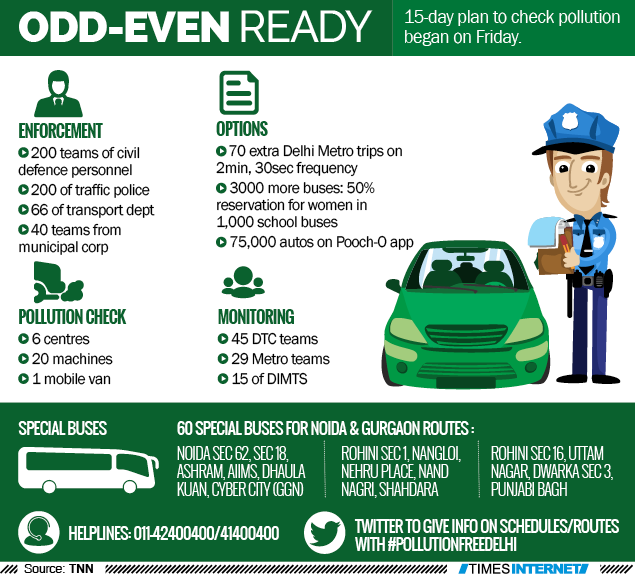 However, the policy did prove that influencing traffic demand in Delhi can improve results. (More details on the results of the test are available here PDF). An article in Outlook India by Dinesh Mohan (Honorary Professor at IIT Delhi) basically indicates scepticism that it is the solution for Delhi. 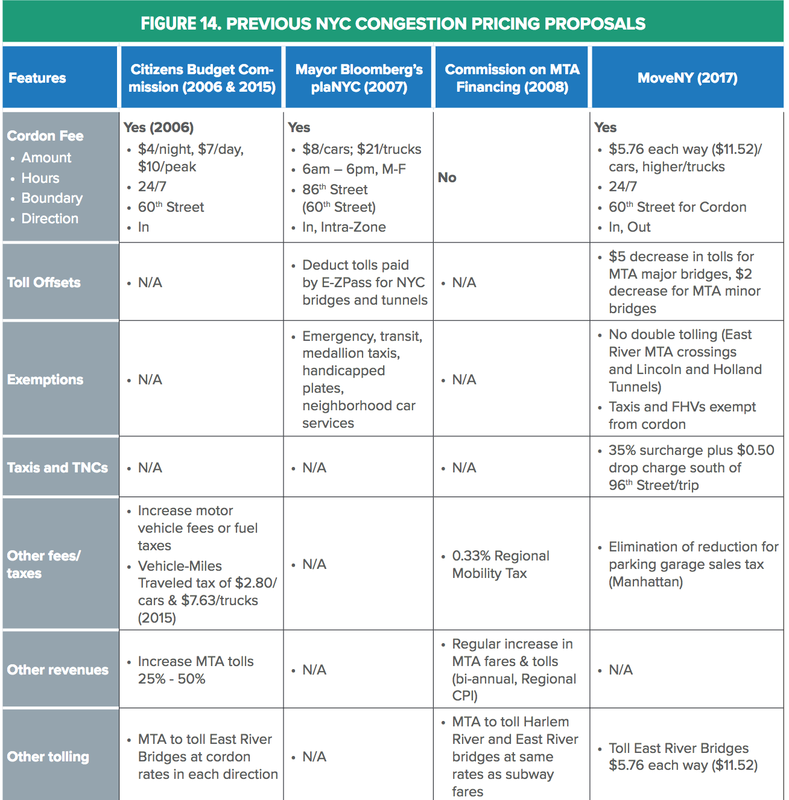 quotes a number of academics to put some doubt about the efficacy of congestion pricing, yet none of these offer any evidence. He quotes Professor Peter R. Stopher of the University of Sydney as saying “that charging motorists a politically acceptable amount will probably still not make significant impact on overall system congestion, while the potential for serious impacts on the economy become large if the charges are made sufficiently high or the area covered is made sufficiently large.” Yet this seems to presume that charging means some sort of cordon or area charge. There has never been a scheme to date that charges congestion on a system-wide basis. Singapore is the closest, but is still far from being a network charging system. What IS clear is that there are positive results where charging has been applied appropriately, such as in Singapore and Stockholm. He then quotes Brian Taylor from UCLA as saying congestion is a "sign of success", which is not what many road users think. The analogy with restaurants is hardly appropriate when people have choices between thousands of restaurants in a city, and the restaurants that are most successful can either raise prices to increase profits, or expand locations to cope with demand. Mohan's claim that "there has been little consensus among thinking traffic experts on how to think about urban traffic congestion and how to deal with it. This is why there are very few cities the world that had the courage to experiment with the concept of congestion charging" is quite wrong. There is widespread consensus that pricing of road use would reduce congestion, the reason pricing has been applied in few cases is a mix of political will, lack of innovation in the development of options for pricing and the inability to communicate to a sceptical and untrusting public that paying to drive on some roads at peak times will improve conditions for them. Certainly Delhi is different from all other cities that have introduced congestion charging, but the claim that it is very expensive to implement is simply wrong. The costs of Automatic Number Plate Recognition (ANPR) technology have dropped significantly in the past 15 years and improved in reliability. Design of existing road infrastructure, including traffic signals, roundabouts, intersections, lanes, parking restrictions. Enforcement of traffic and parking offences. Provision of adequate facilities to ensure walking and cycling can be undertaken safely and easily for short trips. Public transport provision, including priority for public transport. New road capacity where appropriate. Road pricing should be a part of this, but objectives need to be clear. Delhi still has a significant population that does not drive, but may be expected to want to own a car in the next 10-20 years. Although it's unreasonable to expect this desire in owning a car to be curtailed, that isn't a reason to not ensure that low cost alternatives are not made as reasonably attractive as they can be (walking and cycling), and that corridor space is set aside for bus transit to be developed (as Delhi also grows its underground metro system). Delhi may also seek to wrestle control of its commuter railway system from Indian Railways, so that money can go into enhancing system capacity, whether by track, signalling or rolling stock (and to try to capture the growth in fare revenue to pay for these improvements). For road pricing, Delhi should get its road management right more generally, and after converting existing toll roads to free flow tolling, with peak charges to help spread demand, pilot charging on critical parts of the highway network where diversion can be minimised. Singapore does have an effective approach to reviewing and updating charges, and incrementally Delhi can develop a network of charging, that generates revenue that will be needed to fix intersections, corridors and other parts of the road network that need modernisation. How should the UK Government reform the HGV levy? In January 2018, the UK Government consulted on how it could reform it's heavy goods vehicle vignette scheme, also known as the HGV Levy. The HGV Levy charges all trucks 12 tonnes and above for using any public roads in the UK, based on either one day, one week, one month or a year of use of the network (see this PDF for the rates). For UK registered trucks it is relatively simple, as the Levy is only available as an annual charge collected in parallel with Vehicle Excise Duty (VED) - the annual vehicle registration tax. The HGV Levy was introduced as a relatively simple way of raising revenue from foreign trucks using UK roads (as VED on the trucks liable for the HGV Levy was reduced on almost all those vehicles, meaning most paid nothing more). The HGV Levy was introduced on 1 April 2014 and in its first year earned £46.5m (US$65m) in revenue from foreign trucks (it also earned £146m from UK registered vehicles, although this largely corresponds to revenue lost from reductions in VED). As a vignette, the HGV Levy is basically a prepaid fee for using UK roads based on time, as is similar to such schemes operating in several European countries. The well-known Eurovignette is levied by Luxembourg, the Netherlands, Denmark and Sweden for using their roads. Latvia, Lithuania, Romania and Bulgaria all also have heavy vehicle vignette charging systems. What's wrong with the HGV Levy? It's better than not having it at all, but it has the same fundamental limitation of a charge, for an activity that generates externalities which isn't based on usage, but on charging a right of use. It effectively means that vehicles using roads the most are cross-subsidised by those using roads the least. The HGV Levy will generate more revenue if the number of HGVs registered in the UK increases, but not if the current fleet is used more intensively. Similarly, if more foreign HGVs enter the UK, there will be more revenue, but not if those that already visit the UK travel more often. Obviously, the vignette may be said to incentivise operators to maximise utilisation (because they pay the same whether a truck is idle or not). However, to properly understand whether or not the HGV Levy should be reformed, or not, there needs to be some clear policy purposes to it. For all of the information in the consultation documentation, there isn't a clear stated policy purpose for the Levy itself, just some related policy goals of the UK government around the road freight sector. Encouraging individual HGV operators to plan more efficient route operation and use the most modern equipment. Helping to drive more efficient use of our roads. Reducing emissions which contribute to poor air quality and climate change. In association with VED, seek to recover the fixed and marginal infrastructure costs of road use from vehicles that are charged. As it stands, it doesn't do that particularly efficiently. For a start, it charges vehicles more according to the number of axles they have. Although this might be seen as a proxy for increasing wear and tear (based on Equivalent Standard Axle (ESA) Loading), it also penalises operators for having lower ESA loadings for the same tonnage. However, in a vignette, it doesn't make a lot of difference. How could the HGV Levy better meet the UK Government's policy goals? The last of the goals could be better met by having emissions ratings included in the existing charging scheme. EEVs and the highest Euro rating vehicles could pay less, as with the German system. That would also, indirectly, encourage use of the most modern equipment (although it's far from clear exactly what public policy objective that achieves in and of itself). That would be relatively simple, but the other goals (more efficient route operation and driving more efficient use of the roads) are difficult to achieve with a charging scheme that only distinguishes by vehicle classification and dates of permitted access to the network. For any scheme to incentivise better use of the road network there needs to be a geographic element. This is near impossible to do with a prepaid vignette. There could be separate vignette products for use of the strategic road network (Motorways and major highways) compared to the local road network, but it is unclear what that would achieve? Virtually no trucks can usefully operate in the UK without access to the local road network, so that would be universal. Charging separately for motorways would disincentives use of that network, which is hardly going to optimise road use. Far more effective would be to charge for actual road use. That means charging for distance consumed, based on vehicle class and with a location element, so that route choices can be influenced. For example, it would be logical to incentivise greater use of motorways and major highways over local roads, because such roads tend to be built to standards that mean that the marginal wear and tear generated by a heavy vehicle axle passing over the road surface is lower. Furthermore, such roads tend to be safer on a vehicle km basis and avoid built up areas. As a further step, rates could vary between individual strategic and local roads at a later date, with lower rates for A compared to B roads and unclassified roads, to discourage use of residential streets to avoid congestion. A vehicle has a emissions classification as above, which places it into a category. This category determines whether a pollution charge is levied on top of the infrastructure charge. The highest quality emissions category pays nothing for pollution, but the lowest quality pay €0.083/km (US$0.167/mile). Infrastructure categories reflect numbers of axles, which is a simple proxy for vehicle mass. It can argued that this is not strictly efficient, in that the more axles there are for a vehicle of similar mass, the lower the marginal wear and tear that vehicle imposes on the network. However, given Germany only charges for use of the motorways and expressways, it is likely that the difference this makes to road maintenance costs in Germany is low. So having emissions based charging will both reduce emissions and encourage use of newer vehicles. Allowing distance and location based charging will enable more efficient route choices to be made. The bigger question then becomes: How could the UK transition to mass/distance/location based heavy vehicle charging? Other European countries have moved from vignette based charges to distance charging, and the UK could combine this with a reduction in Vehicle Excise Duty to match the rates for light vehicles, so that charges shift from ownership to usage. However, the UK will probably also need to offer some refunds for fuel duty as well, given how significant fuel tax is as a revenue source (and how unsustainable it is over the long term). There are revenue benefits in replacing a proportion of fuel duty, because a shift to distance charging will protect it from fuel efficiency and changes in engine technology (albeit limited for many HGVs in the short term). Any revenue collected from a new distance based charge from heavy vehicles would have to be hypothecated, and it would make sense for this to be a source of funding for both local roads and strategic roads for maintenance funding, alongside Vehicle Excise Duty from all vehicles. Rate setting for the heavy vehicle charge should also be undertaken independently, by an independent regulator seeking to raise revenue to meet the needs of the road networks across the country, using a cost allocation approach that means heavy vehicles pay only their share of long run maintenance and capital costs of the network. This also means reforming the whole funding and governance system for roads. Highways England is a good start, but a similar reform should apply to local roads and the road authorities of the devolved administrations should follow as well. The way to deliver a heavy vehicle charge would be to adopt an open market approach, certifying service providers to a standard of performance to measure road use and bill for it. There would have to be procurement of a service around compliance and enforcement, to ensure vehicles paid the charge. Refunds of fuel duty as part of the system may help increase compliance, but there will need to be considerable efforts made to promote compliance. Any change should start with HGVs 12 tonnes and above first and transition down to 3.5 tonnes and above over several years. What this should do is provide a platform for further change in the longer term as fuel tax becomes increasingly unsustainable, and mean that heavy vehicles are charged efficiently and effectively for wear and tear they impose on the road network, with rates able to be adjusted at a geographical and time of day level, to help encourage road use outside congested periods. I doubt the current UK government will go down this path, but I can certainly see a future one doing so. Did London's congestion charge increase pollution? There has been some news coverage today of a presentation at the Royal Economic Society's annual conference from , Professor John Heywood, Dr Maria Navarro and Professor Colin Green (Lancaster University, University of Wisconsin- Milwaukee and the Norwegian University of Science and Technology respectively, I believe) which allegedly claims that the central London congestion charge caused an unintended increase in some forms of pollution, namely nitrogen dioxide (by 20%), although it reduced carbon monoxide, nitrous oxides and particulates. The Sun reported this, but TLE (The London Economic) reports it in more detail. The Royal Economic Society (RES) has a press release about the presentation. The obvious simple reaction to this is to say the congestion charge "doesn't work" in terms of pollution. However, it is much more nuanced than this and worthy of more detailed investigation. Since I don't have a copy of the presentation, my comments are limited to what has been reported. The report says that there were "significant reductions across a range of pollutants" in comparison to "comparison cities" and of course, because the congestion charge did reduce road traffic volumes and there were reports at the time of reduced emissions, it is a fair assumption that the net effects should be positive environmentally. The key element of this research was to consider the composition of pollution. What isn't clear is how this was actually measured. While some trips to central London simply may not take place, congestion charging policies seem more likely to change the method of transit. The charge made driving in London more expensive and generated improvements in bus services. Improvement in bus services came about primarily because subsidies for bus franchises were increased so service frequencies could be increased, and some new routes introduced, and also the introduction of new bus lanes (and of course reduced congestion improved the ability to operate buses on existing roads). The congestion charge helped raise revenue to support increased subsidies for buses, made reallocation of road space to bus lanes less disruptive for existing traffic and enabled some improvement in bus trip reliability. 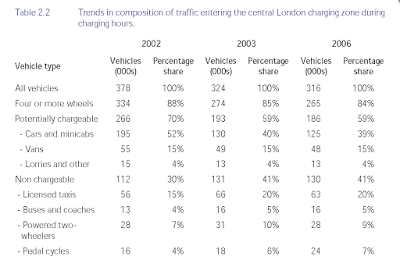 As might be anticipated, more travellers used buses and taxis in central London. This caused a move away from predominantly petroleum-based transport (private vehicles), towards diesel based transport (black cabs and buses). 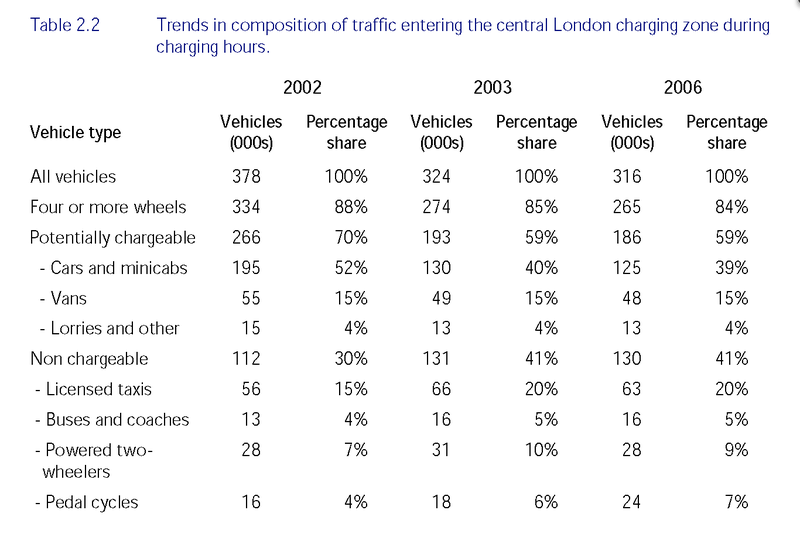 This is true, although it's important to note that the mode-share for private car travel in central London was 12% in 2001 (before the charge was introduced). The number of such trips dropped by around 33% between 2002 and 2006, but as a share of trips, it is still small. The new study demonstrates reductions in three traditional pollutants: carbon monoxide (CO), particulate matter (PM10) and nitrous oxide (NO). These reductions are as large as 25% to 30% for PM10 and NO. The researchers show that the reduced pollution per mile travelled in the zone exceeds that expected from the reduction in traffic flows alone. Thus, the reduction in these pollutants reflects, in part, removing very high levels of traffic congestion as well as reducing miles driven. The evidence that reducing pollution is not just about reducing trips, but also reducing congestion (so the trips that remain operate more efficiently, and burn less fuel to travel the same amount of time). This ought to have significant policy implications, because some environmentalists have treated traffic congestion as a tool to suppress car traffic, but congestion is not a positive. It wastes time and energy, but also increases pollution. Unfortunately, in recent policy debates about addressing air pollution in UK cities, the idea that policies that reduce congestion are worth pursuing seems to be ignored. Of course the study claims the NO2 increase of 10-20% is due to an increase in bus and taxi traffic. TfL's own figures indicate around a 13% increase in the number of black cabs entering the charging zone between 2002 and 2006 (bear in mind black cabs** do not pay the congestion charge, neither do minicabs**. There was also a 23% increase in bus trips, presumably almost all of that was due to TfL increasing services. From that there come a series of statements, which I think are worthy of questioning. The authors argue that this increase is likely to reflect the shift towards diesel-based transport. Thus, the congestion charge may have actually increased the harm from pollution. They conclude that the reduction in congestion associated with charge simultaneously reduced some forms of pollution but had the unintended consequence of increasing more damaging forms of pollution. Is this analysis damning of congestion charging as a policy from an environment perspective? Of course, without having access to the full paper, it is difficult to be certain of my hypothesis here, but this is what appears to have happened. 1. The congestion charge co-incided with policies to increase bus services. 2. Black cabs, being exempt from the congestion charge, were able to undertake more trips under conditions of lower congestion than before. 3. With more buses (a deliberate policy initiative) and more black cabs (because more trips were easier and there was no congestion charge applying), NO2 emissions increased. 3. Ergo "the congestion charge increased pollution". This would appear to be an overly simplistic conclusion which could cause some policy makers or lobbyists to think congestion charging, per se, is not a good policy environmentally. However, such a conclusion would be wrong. What could London have done differently? Politically, the congestion charge couldn't have been introduced without an exemption for black cabs, and the expansion of bus services was intended to offer an alternative for some private car trips (although it is unclear whether there was much of a modal shift from car to bus, as it is more likely the underground and rail services took some of the trips). However, the congestion charge as a policy in itself was not specifically responsible for an increase in diesel vehicle trips and NO2 pollution. The congestion charge introduced a flat charge on private cars and goods vehicles (the latter saw a 13% decline in trips between 2002 and 2006), but did not charge buses nor taxis (of any kind). So it is hardly surprising that while private car and goods traffic declined, the vehicles not subject to a charge increased in trips. In other words, the congestion charge reduced pollution from the vehicles that it charged, but not the vehicles that it did not charge, in terms of NO2. Bear in mind that the proportion of diesel cars in the UK vehicle fleet increased during this period (not least because of misguided changes to vehicle excise duty intended to reflect CO2 emissions only). Technology has progressed since 2003. 30% of London buses are now hybrids, with 0.8% now zero-emission electric and fuel-cell vehicles. So a similar increase in bus services today would mean a lower increase in emissions, particularly if priority was given to putting new hybrid vehicles on central city routes. However, although increasing the capacity and frequency of bus services is a logical complementary policy to congestion charging, and may be desirable (depending on the design of the charging scheme itself) it is not absolutely essential and certainly today, with the engine technology available (notwithstanding cities with trolley buses who can always claim zero emissions from such vehicles), it does not necessarily follow that more buses means higher NO2 emissions. I suspect that had London not increased bus capacity (by increased frequencies, but rather taken the gains from reduced congestion to improve trip reliability), although the congestion charge itself may have been marginally less effective, NO2 would not have increased as was reported. For black cabs it is simpler, as there isn't a compelling policy reason why people who choose to travel by taxi into or around central London should be preferred over those who bring their own car. Bear in mind that black cabs circulate "empty" searching for fares, contributing to both congestion and pollution, whereas a private vehicle always undertakes a "useful trip" in transport utility terms and when it isn't, it is not polluting or contributing to congestion. Stockholm, Gothenburg and Singapore do not make any taxis exempt from their urban congestion charging schemes. Transport for London has been consulting on removing the exemption for minicabs (but not black cabs). To be fair, had black cabs not been made exempt, they would have opposed the congestion charge and been a problem for the Mayor in introducing the charge. However, if the exemption were removed, it is not clear how much of a difference it would make with the current charge structure. The congestion charge is set at £10.50 (US$14.93) for unlimited trips within the zone, for vehicles registered with Autopay (which means vehicles are automatically charged when detected entering or circulating within the zone, rather than having to consciously pay for a trip each day in a separate transaction). It seems likely that most black cabs (and minicabs) would absorb this in their fares and spread that cost, although there will probably be a small incremental reduction in vehicles. The congestion charge did NOT increase pollution, in fact the report quoted states that with the exception of NO2, other pollutants reduced. However, given the information presented, it is not the congestion charge that is to blame. It is the increase in bus services, approved by the Mayor of London (using the engine technology of the time) and the increase in black cab trips (exempt from the congestion charge) that appears to be the evidence for a causative relationship in increasing NO2 pollution being attributed to the congestion charge. It would be highly misleading to draw the conclusion that introducing congestion charging today or expanding it would have the same result. Hybrid or electric buses can mean bus services can be increased without the same result, and taxis (both kinds) need not be exempt at all (they aren't in other jurisdictions). * The press release stated the City of London introduced the congestion charge, but it was Transport for London (as the area charge crosses the boundaries of several other boroughs, most notably Westminster, but also Camden, Southwark, Lambeth, Islington, Tower Hamlets and Hackney). ** For those unfamiliar with the split in the taxi industry in the UK: Minicabs (legally "private hire vehicles") tend to offer fixed fares, are not metered and are only allowed to pick up passengers on pre-booked trips (which may be by phone, online or by asking at a minicab office, in which case a minicab may be available immediately). Black cabs (legally "licensed hackney carriages") are metered and are legally entitled to pick up "hailing" passengers (people who flag down a taxi in the street or request a trip from a taxi rank). Black cabs can also offer fixed fares to passengers and be pre-booked, just like minicabs, but the licencing requirements for black cabs are stricter. Both types of taxi are licensed by local authorities (but in London by Transport for London). Across some of the Australian media is the release of a report from the Grattan Institute (a public policy thinktank) report titled "Stuck in traffic? Road congestion in Sydney and Melbourne" (PDF) by Marion Terrill. It needs a rethink. It reports what those of us working in the road pricing field would say is, generally speaking, fairly obvious. Charging for road use at peak times in cities can reduce congestion and is worthwhile. However, for all of the general merit of the argument, and some useful data in the report, I question very much one of the key conclusions of the report and the value of the report to the public debate about congestion. In fact, I'd suggest it is counterproductive and sends the case for road pricing backwards in Australia. It doesn't help that the report doesn't even understand the London scheme properly. Let me be clear, I am not talking about parking pricing or public transport pricing, all of which have some merits. Independent regulation of toll road pricing is interesting, but naive. With private concessions already, there is effectively a contract with private concessionaires about pricing. Overall the report is lacking in some fairly fundamental analysis, as it provides selected data that indicates on the one hand that most car trips in both cities are not to the CBD. 29% of trips to the CBD are by car in Melbourne, only 15% in Sydney. 81% of trips in greater Melbourne are by car, 67% in Sydney are by car. Yet its solutions would indicate that this should be the focus. 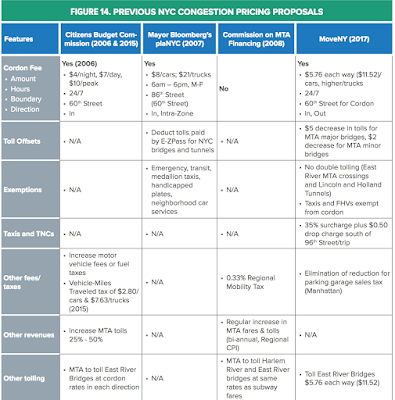 The failure to emphasise that the main difficulty with the introduction of congestion pricing is public acceptability. But the gains in travel speeds are slowly diminishing, due to steadily growing traffic volumes and an inherent limitation of cordon schemes – vehicles that stay inside the zone are not charged, making it free for them to cruise the inner London streets. The travel speeds are back to where they were before the charge was introduced, in part because road space has been reallocated to pedestrians, cyclists and bus lanes, but also because of uncharged vehicle growth (private hire vehicles - prebooked taxis). Vehicles that stay in the zone ARE charged because London has an area charge, so they are not free to cruise the inner London streets. Indeed a key part of the London problem is not that, but that almost half of all vehicles entering central London are either exempt or have a 100% discount from the congestion charge. The Grattan Institute report ignores this. None of these examples (and Gothenburg is a much less convincing example) have urban form similar to Sydney or Melbourne. All have higher densities of population, all have urban commuting patterns more concentrated on their CBDs than the two biggest Australian cities. In short, the car use patterns in Sydney and Melbourne are much more about people moving between suburbs and within them, than on long trips to the CBDs. Cordons for Melbourne and Sydney could make a difference to those areas, but the impacts beyond the CBDs are likely to be relatively minor. If most car commuting in the major cities is not about going to the CBD, then charging trips to the latter are unlikely to make a big difference to most congestion. Furthermore, the report dismisses the boundary effects of introducing a cordon charge. What impact does it have on home or businesses on the "wrong" side having to pay a one off charge for a short trip? Does it mean a cordon should be ruled out? No. However, the idea that this is the right solution is intellectually lazy. Much more likely to be effective would be network road pricing, which is what the Grattan Institute says but then doesn't recommend (it thinks that a cordon charge is network road pricing, but it certainly is not). That means paying to use roads on a network wide basis, varying by time of day and location. Obviously this would be a much bigger step than a cordon, but I am unsure why other road pricing options are ignored. Furthermore, although it is acknowledged that such charges could offset registration fees (which seems odd in that it would mean commuters would get an offset of registration fees, but others wouldn't) and that net revenues should be spent on public transport. Surely if it is offsetting registration fees it should be offsetting spending on roads? Is there a case for more public transport spending per se or is it assumed? Surely the idea that revenues should be spent based on merit would make more sense. The Grattan Institute appears to be completely unaware of the national Heavy Vehicle Road Reform programme and the proposal in that to create an independent price regulator for existing and future road charges (existing being registration fees and fuel tax). Heavy Vehicle Road Reform envisages a future whereby all heavy vehicles pay by mass, distance and location. Furthermore, the Commonwealth government announced some months ago that there would be a study launched into road charging for light vehicles. The latter, in part due to the challenges in the future as fuel efficiency, hybrid and electric vehicles erode fuel tax revenues. The Grattan Institute seems oblivious to the likely introduction of an independent price regulator for national heavy vehicle charges, or the possible introduction of full network charges for heavy vehicles at least. You see congestion pricing should be seen in a wider context, in that how roads are managed and charged for should be reformed more fundamentally. That means moving from fixed (registration) charges and fuel taxes to distance, mass, location and time of day charges, set by utility based road providers with an independent price regulator. Some support for wider reform would have been helpful, but lack of acknowledgement of road reform seems odd. Well this is the key problem, and the media coverage in Australia following the release of the report has almost entirely been negative. Who believes that charging for road use will reduce congestion? No one, and it is in part because the Sydney Harbour crossing peak charging has had negligible impacts, but moreso because it hasn't been piloted seriously in Australia. There is a distinct lack of trust in any government introducing a new charge (it has been coined "traffic tax" in the media, which is disastrous) around what it does with the revenue and if it will reduce other taxes. This is why there is a need to talk about road reform more generally, and how congestion pricing can be offset by lower prices offpeak (by replacing registration fees and fuel taxes). There is a need to bring the public along with how pricing can work, what it would replace and what revenue would be used for. That requires a lot of effort. To glibly talk about public acceptability in London (where hardly anyone actually drives to the CBD) or Stockholm (where similarly, most trips are not charged and revenue has been hypothecated for roads) is simply missing the point. It is overwhelmingly obvious that the reason this policy hasn't gotten anywhere in Australia is because it is politically toxic and that is because it is toxic with the public. It is that which the Grattan Institute needs to address, which is convincing the public that this would be good for them (and what "this" would look like). I see little evidence of this, and the public backlash about the report is counterproductive. More needs to be done, and it would be helpful to acknowledge that, of all cities, Auckland is more advanced in thinking than any Australian cities, not least because most recent reports indicate a central and local government are in some alignment about the need to act and that pricing is part of the mix. Australia needs a conversation about pricing roads, which includes congestion pricing, which includes replacing registration and fuel tax, and most importantly discusses what is done with the money, how the roads are managed and paid for. The Grattan Institute report contains some useful data and analysis, but a report that misconstrues the London scheme, that jumps to transplanting a cordon onto Sydney and Melbourne and ignores the national agenda of road reform falls well short. My hope is that it doesn't undermine the whole argument by generating public opposition about the concept, by proposing options that are fundamentally flawed.